cold rain didn't stop demonstrators from gathering outside the gates of the National Institutes of Health on Monday. 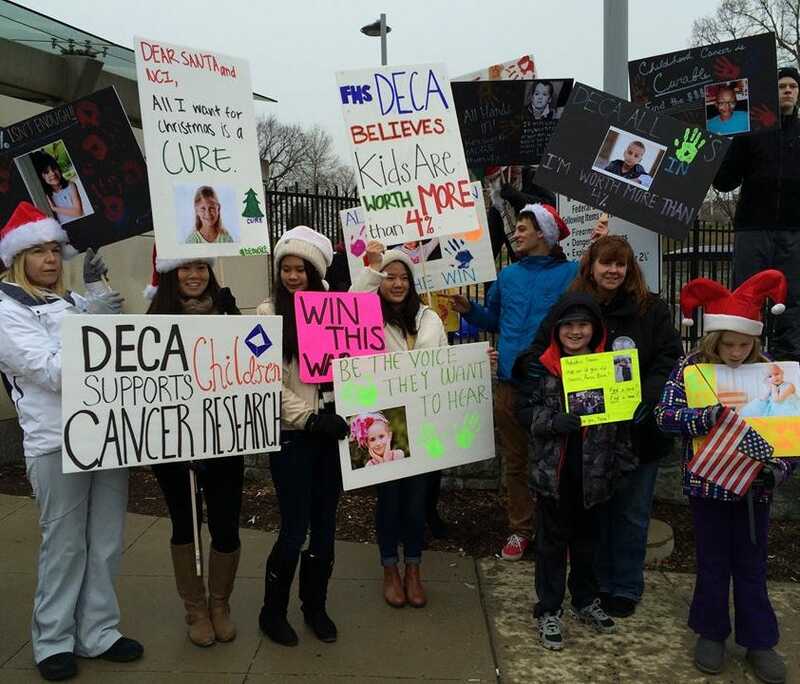 The group was protesting the lack of research funding for childhood cancer. "I am beyond upset, because it's not fair," said Kelly Wing of Leesburg, Virginia. "And I don't want to bury my child and I don't want to know what it's like to lose a child. I don't want to know what it's like to hear the diagnosis that my child has cancer." Wing knows cancer is an equal opportunity killer, which takes the lives of more children every year than any other disease. "It's crushing news," said Ted Veazey of Ashburn, Virginia. "Your whole world's turned upside down," said his wife, Kristin Veazey. They're talking about their 8 year-old daughter, Hope. After being diagnosed with leukemia during the summer of 2012, she's now winning her battle, after more than two years of chemo. Now her family fights for those who can't. "You define your life as pre-cancer and post-cancer, particularly with children. And you're thankful for every day and you hold them so much tighter, and so much closer," said Kristin, Hope's mother. The demonstrators said they wanted the public to know just how little the taxpayer funded National Cancer Institute spends to research childhood cancer. "It's stunning news to hear that the greatest disease killer of our children only gets 4% of the research budget through NIH," said Ted, Hope's father. "The fact that our government is only allocating 4% to research for our children is just insanity," added Wing. Demonstrators marched in memory of Mathias Giordano of Leesburg. He died of cancer two weeks ago at the age of 13, after his family ran out of treatment options. The National Cancer Institute said the 4% statistic cited by the demonstrators does not reflect its entire contribution to understanding and treating childhood cancer. The NCI invests nearly half of its $5 Billion budget for cancer research that's not specific to any type, but includes many that affect children.